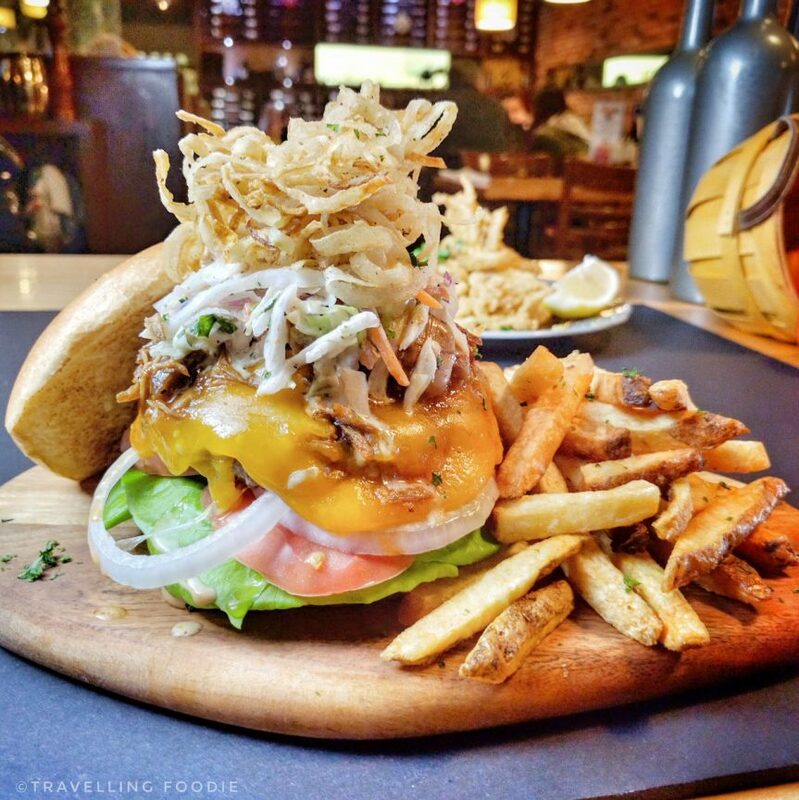 The Burger Cellar is a trendy burger place and wine bar combined. You can’t really compare them to the likes of Burger’s Priest or Holy Chuck because they’re not trying to be a fast food burger joint, but a family-friendly bar/pub where you’d want to bring your family or friends and have a good time. I’ve been meaning to try this place for a while due to it’s more gourmet burgers like the duck confit burger so I was glad when @myfoodnation invited me to the media tasting, which happened on November 30, 2016. For the burgers, we were served slider versions of them, in which each plate consisted of 4 sliders, so not everyone can really try everything. We also had one rack of ribs to share so I made sure I got a bone to try since I love ribs since not everyone can try it. 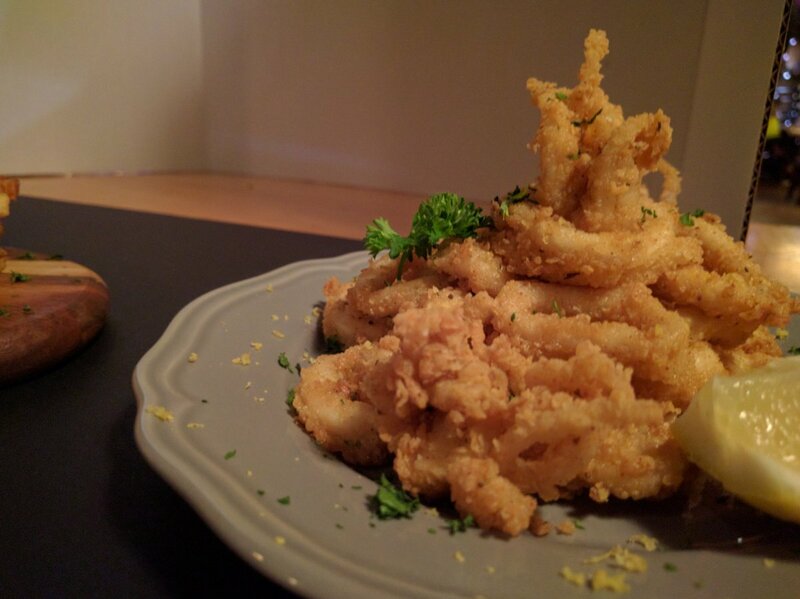 The calamari was big pieces of squid rings and tentacles with a crispy light breading with herbs that didn’t overpower the squid. Though it was good with tzatziki, I’m already happy eating it on its own. The duck poutine was so good! They gave generous portions of tender braised duck! I loved that the fries still remained crispy even with all the gravy, and us taking time for photos. One thing I noticed was that the cheese curds didn’t quite melt (gravy wasn’t hot enough) so we couldn’t do a cheese stretch shot. As with my love of duck comes my love for their Duck Dynasty Burger as well. 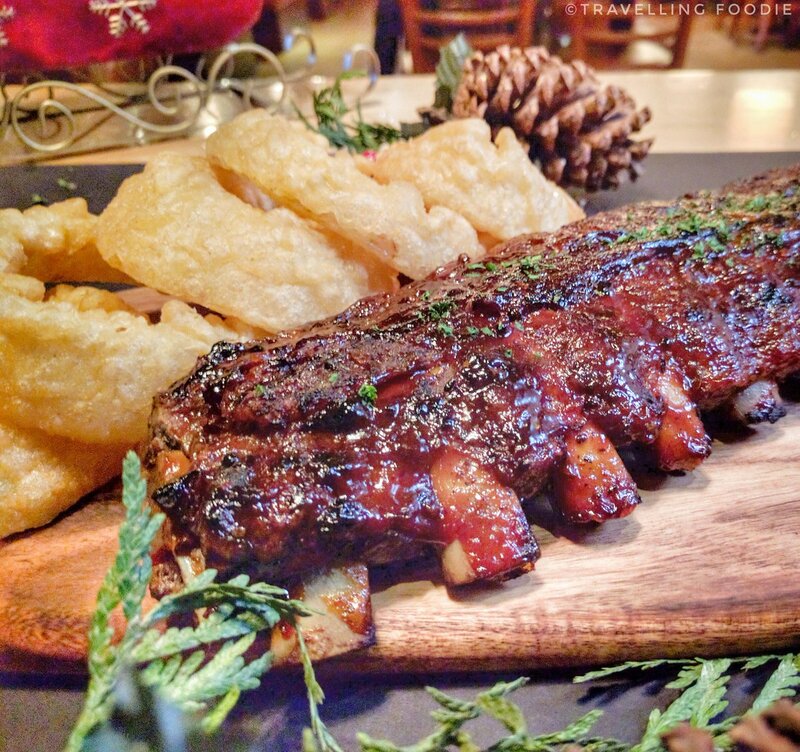 Alan’s own BBQ Ribs is a must-try for rib lovers! Fall of the bone tender ribs with a very delicious sauce. I like that they didn’t slather the ribs with too much sauce so the ribs flavour is still in tact. 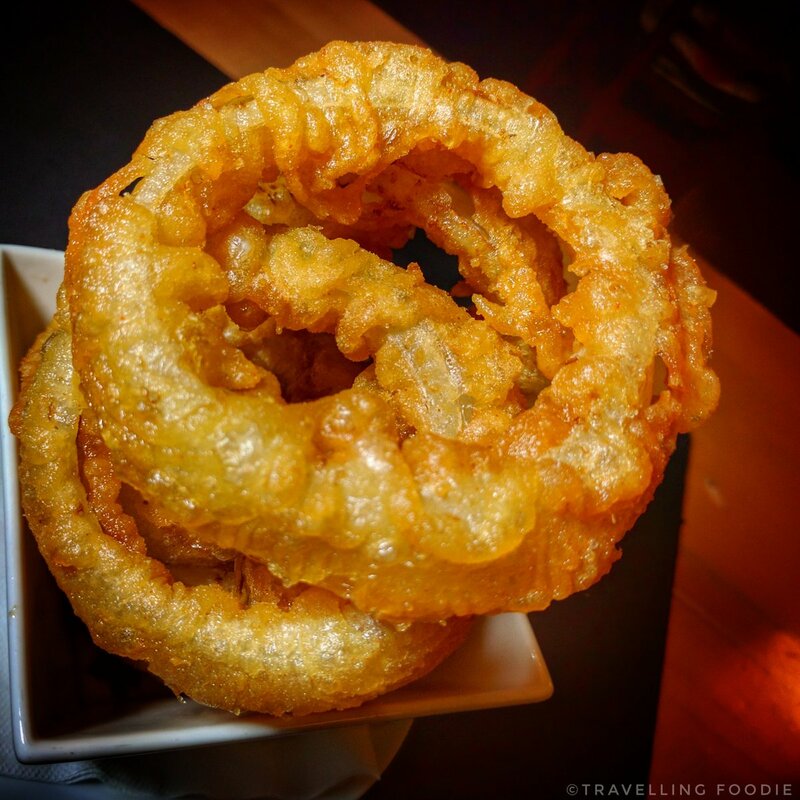 This place is now in one of my favourite places for beer-battered onion rings, along with Olde York Fish and Chips (Review)! The batter was perfectly crisp outside and fluffy on the inside. The beer taste is on-point and the onion rings were huge and sweet! Disclaimer: Although the food was complimentary provided by The Burger Cellar, the opinions expressed here represent my own and not those of the companies. Posted on December 12, 2016 by Travelling FoodiePosted in Canada, Food, Ontario, TorontoTagged restaurants. My friends loved the duck! The original is my all time fave! !